A home energy grant to get more people using efficient heating systems is being run. The Home Energy Saving Grant is being delivered by A1 Low Carbon Solutions (LCS) on behalf of the energy provider npower. The scheme offers homeowners various levels of grant funding for fuel switching to a more efficient central heating systems Fuel switching relates to the changing of the primary heating fuel of your home. A primary heating fuel is the fuel which is used to heat your main living area such as your lounge or living room. The amount of grant funding is determined by both your existing heating and the heating type which you have installed. 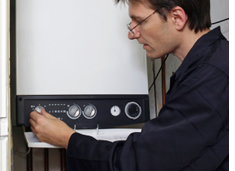 Funding is available through heating installers who are registered with LCS. Eligible boiler brands include Baxi, Glow worm, Grant UK, Sime and Vokera to name a few. The standard level of funding applies to all privately owned domestic properties and a higher level of funding is available to customers who are aged 70 or above or in receipt of certain benefits.